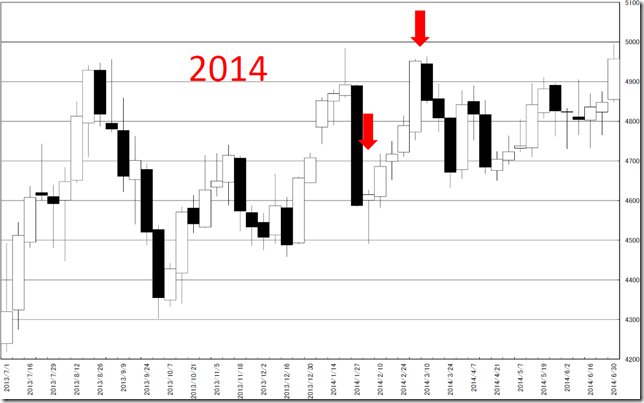 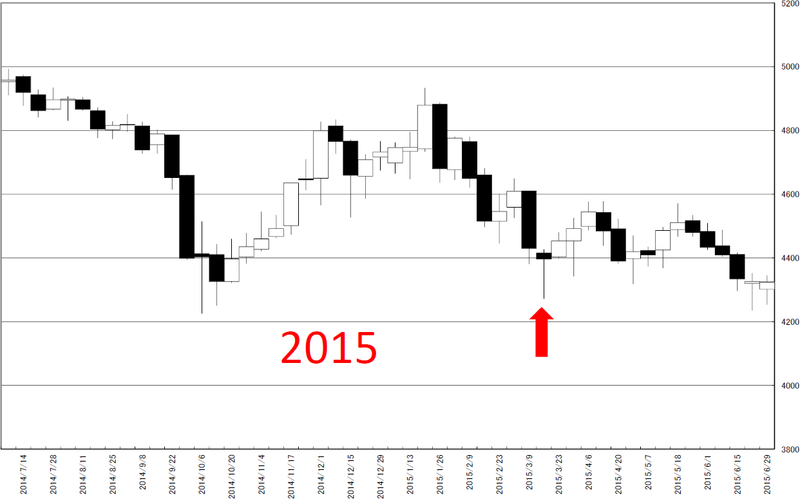 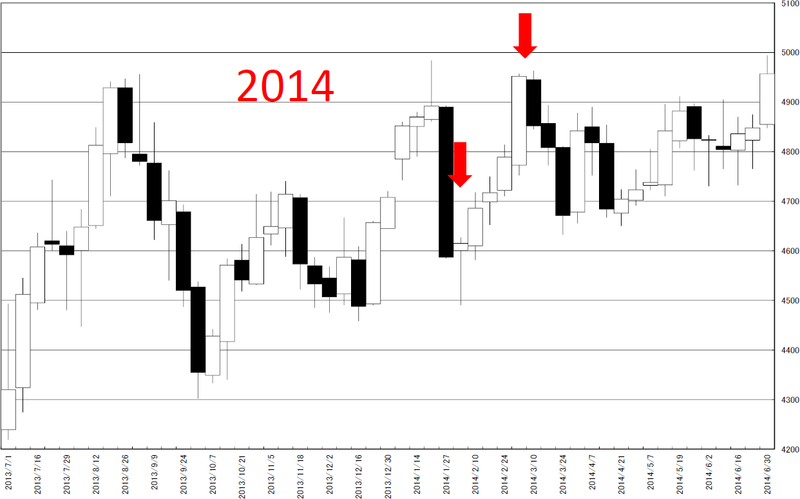 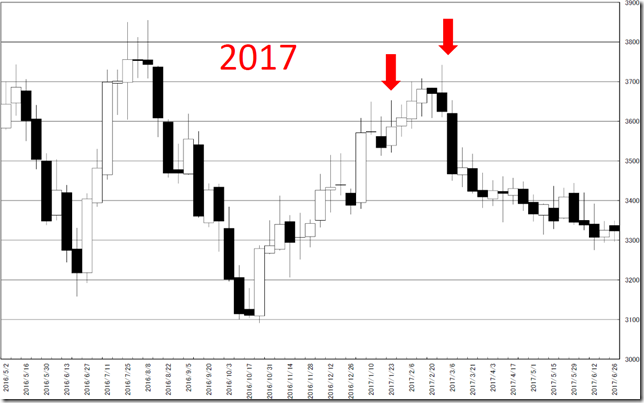 Tokyo Platinum Future Weekly; following 2016 and 2017, rally starts at the end of January and will end at the beginning of March. 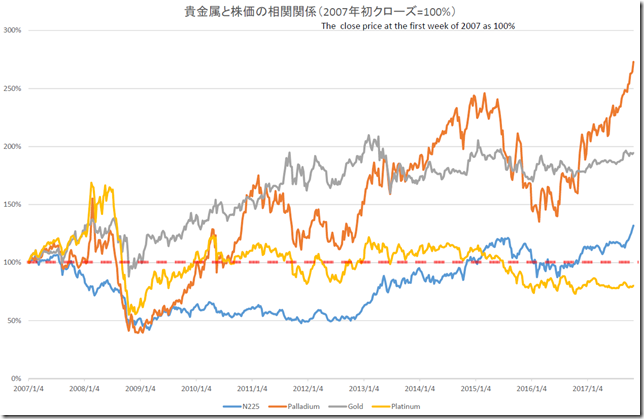 Today, we analyze Tokyo Platinum Future weekly data. 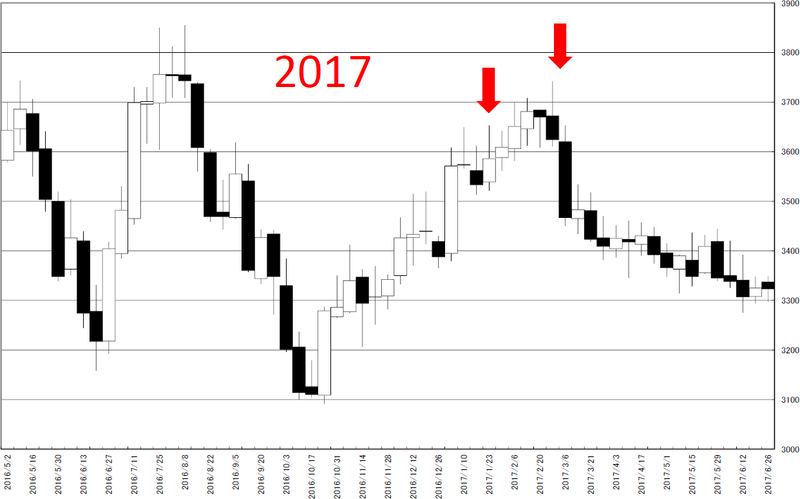 The price movement seems to be déjà vu. 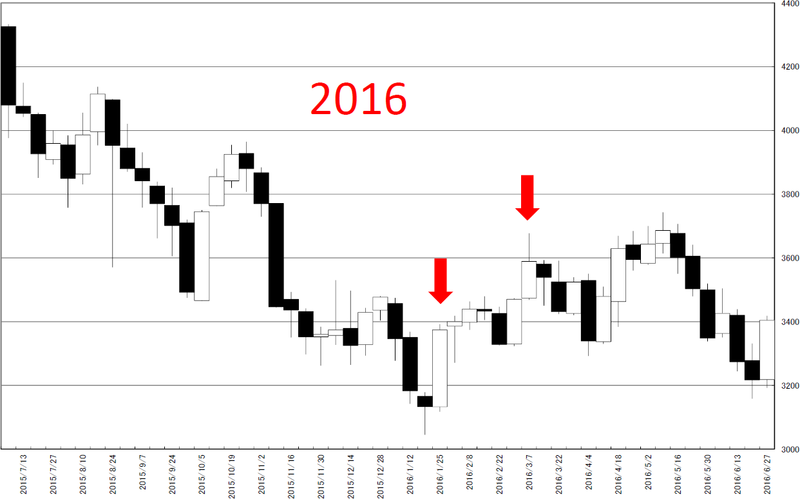 In the latest 5 years, end of January and beginning of March often became “HENKABI” zone. 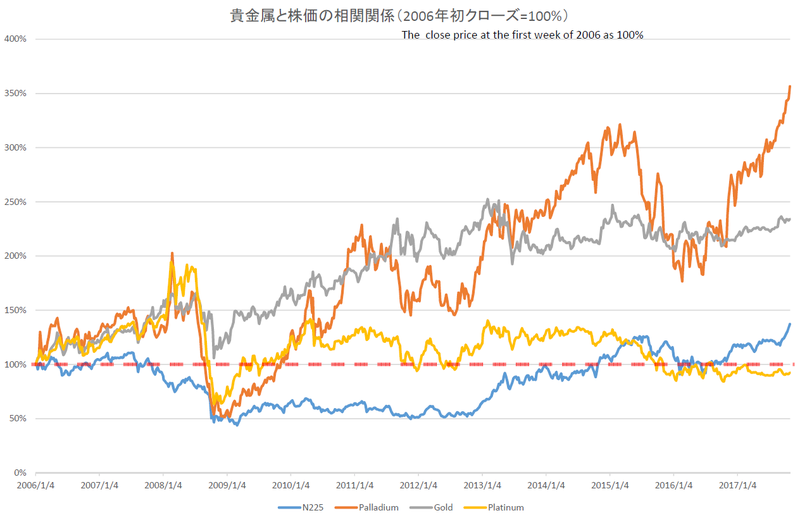 Tokyo yen based Gold, Platinum, Palladium and N225; Gold is the most perfect asset class. 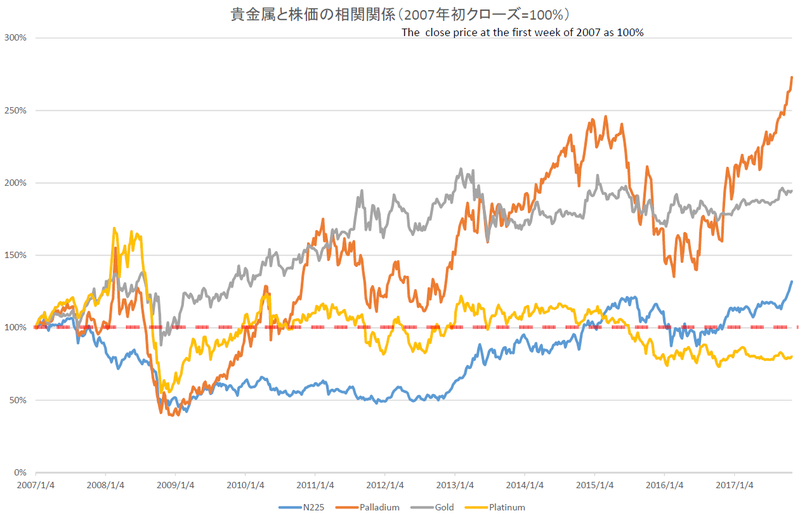 This article introduces about the relation of precious metals and N225. 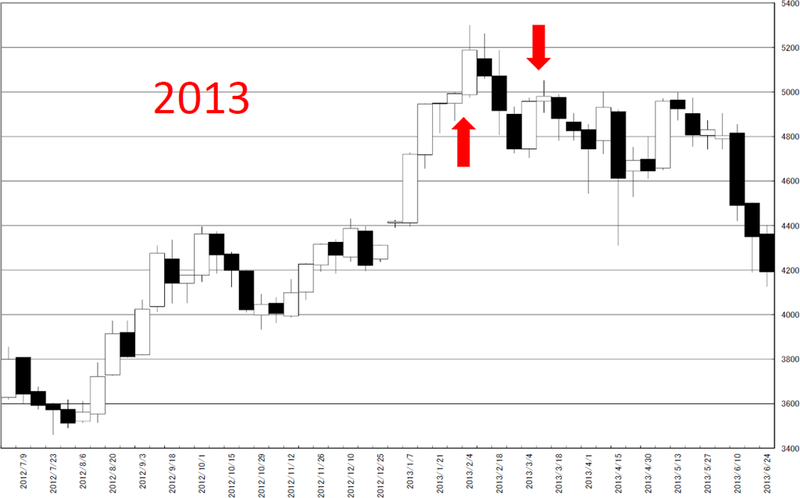 And we focus on the chart, “The relation between precious metals and N225 is low”. 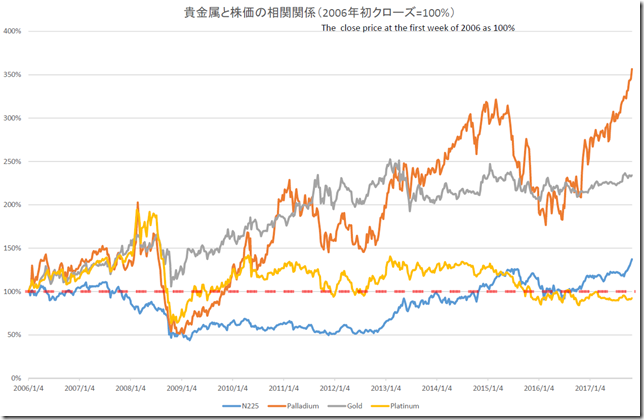 The notable point is N225 and Yen based gold are similar performance. 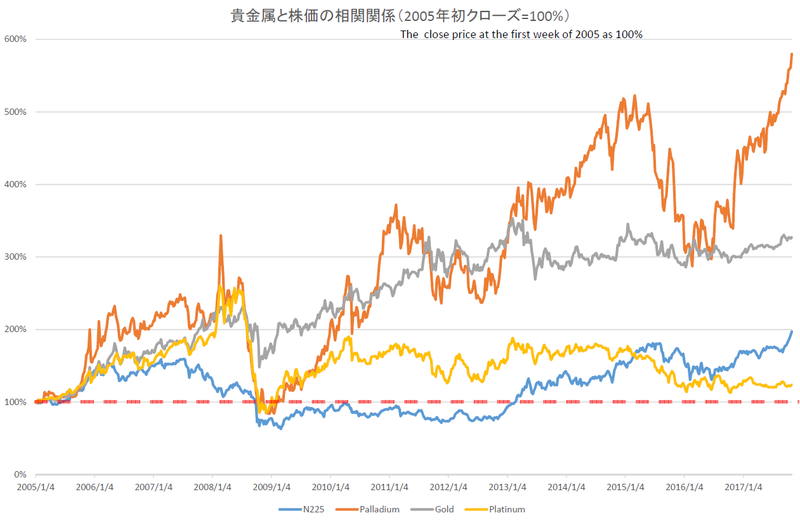 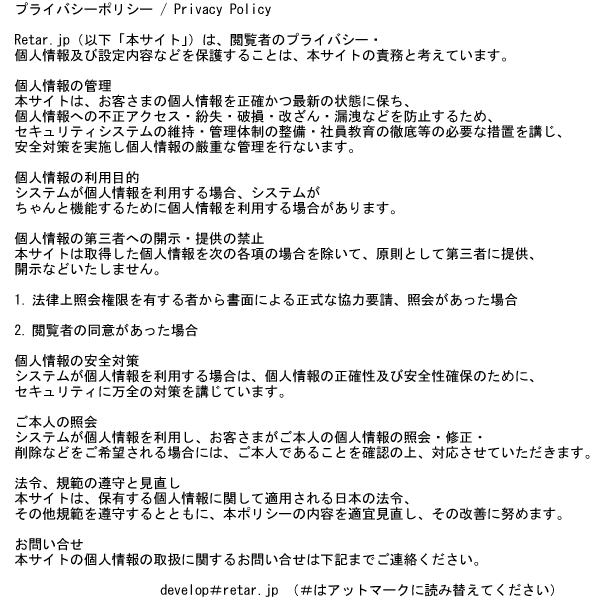 When we change the origin as 2005, 2006 and 2007 beginning, we can see other view. 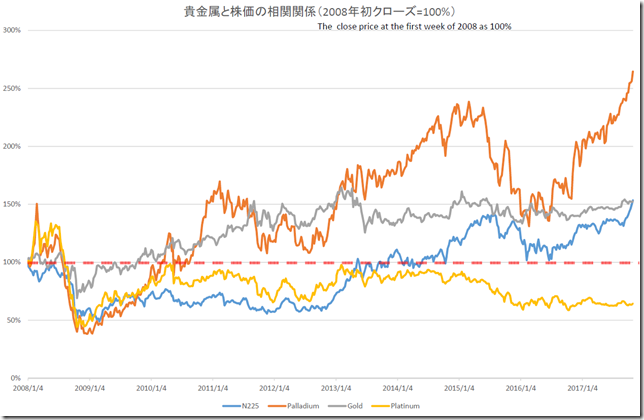 In long term view, N225 and Gold performance are different. 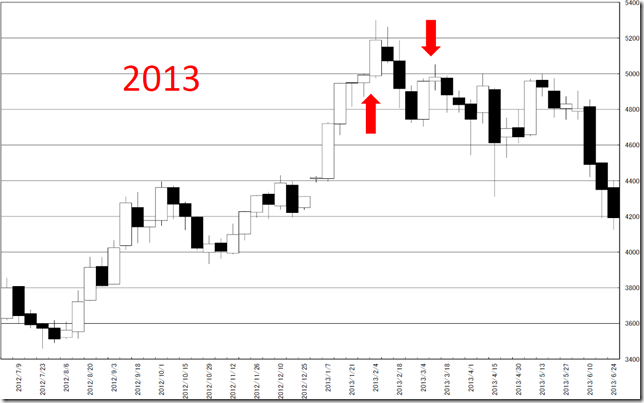 And in most cases, N225 was draw down. Taking long position at the beginning of the year and comparing is ridiculous. 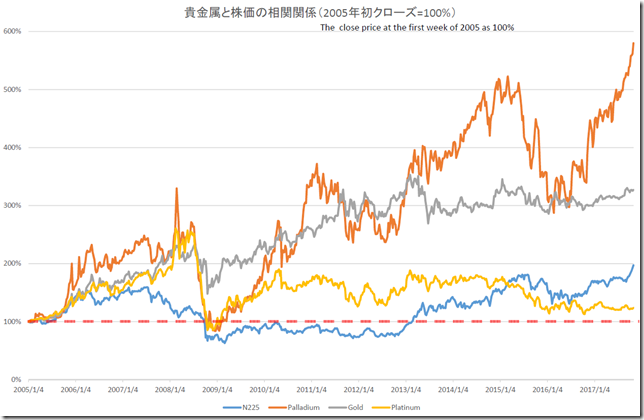 This phrase is introduced “ICHIMOKU KINKOUHYOU KANKETUHEN”(SANJIN ICHIMOKU) and we develop our original “Un-Confused” index. 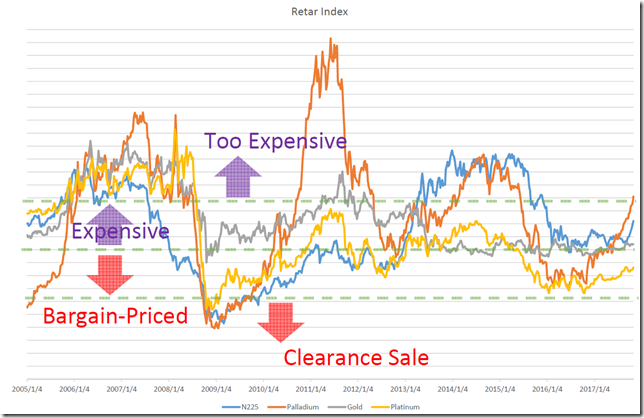 Our “Retar Index™” says N225 has some room for rally and Yen based palladium is too expensive and Gold is little bit expensive and platinum is only taken the bottom. 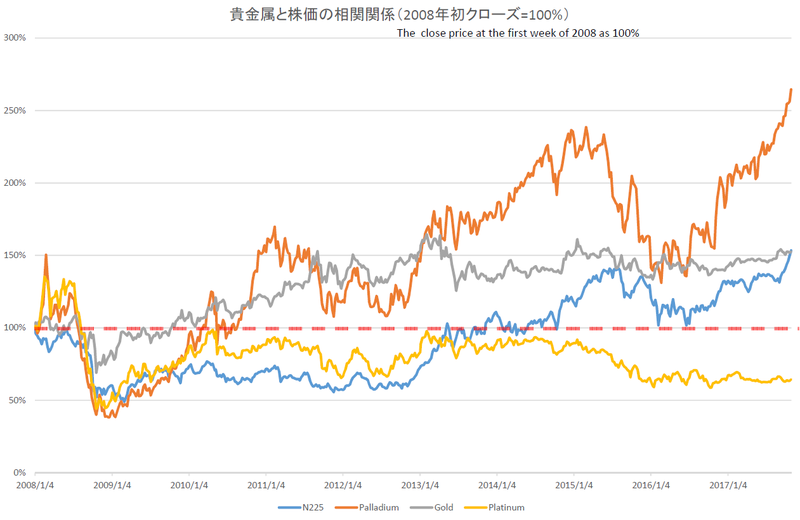 After 2013, when gold became bargain zone, it was bought. 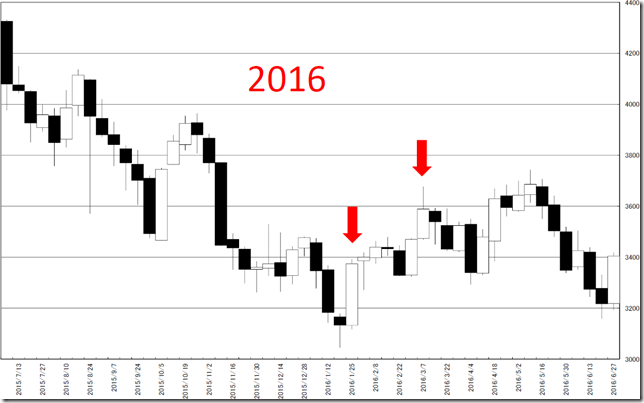 And N225 was similar after 2015.